1970 real cuda, BS U code. Built from Race ready Engineered this 71 Style body, fenders, grill, and tail panel. Complete body off restoration. Ray Barton Hemi with EFI, automatic, 3:73 sure grip Dana rear end, power steering, power disc brakes on all fours, AC/heat, stereo, 472 cubic inch, 650 HP dyno sheet, electronic fuel injection, B cool, B&M, RMS motorsports front suspension and power rack steering. Race Ready Technologies Comer Weighted and Tuned Suspension. Well over 130,000 to build. Year one. etc. TOO much to list as it goes on and on. 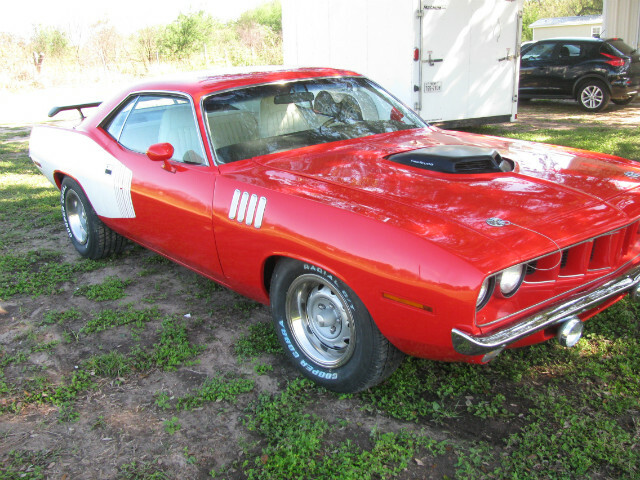 Pictures show the first Class restoration done here on a very rare production real 440 cuda. Serious inquires only. I have over 130 pictures and lots of paper work.